Developed by Outfit7 Talking Tom is the popular app for Android & iOS devices. In app character – Tom repeats the words you say in funny voice of him. The app now has been now expanded in to various characters such as Talking Hippo, Talking Santa, Talking Angela and so on. The developer has developed the app for iOS and Android devices only andÂ all apps developed by them are not available for PC. Fortunately now you can download Talking Tom for PC via Intel App Up. 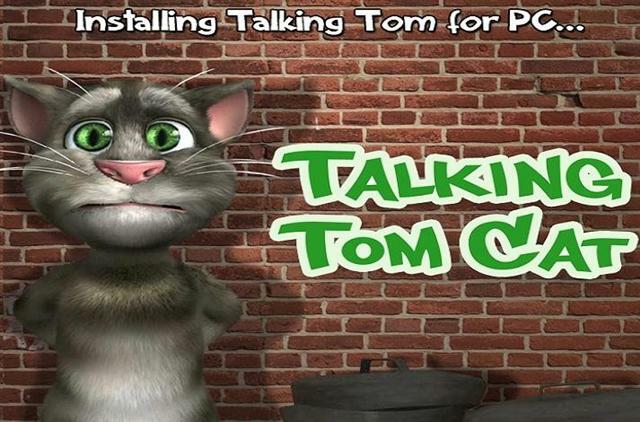 To install Talking Tom in your Windows PC you need to download Intel App Up client and search for “Talking Tom”. After installing AppUp client you will be able to enjoy the app. The installation may require bit more time but it will eventually work in your PC. You can use all the features available in the mobile device version. This is free version, so you will not get the premiumÂ features. If you want to run Android apps on you Windows PC, we have written an article “How to run Android apps on PC” this will help you install almost any other Android app. The working link to download the app is given below.